The art of the macabre has been with us for a long time. It has illustrated books and movie posters, but it has also been created in its own right. Horror art cautions us, scares us, sometimes even terrifies us. But it draws many of us in, as well. In The Art of Horror, multi-award winning horror and dark fantasy writer and editor Stephen Jones brings us a collection of frightful images from some of the genre’s most respected names. Available on Amazon. You can find it at other online and offline booksellers, as well. 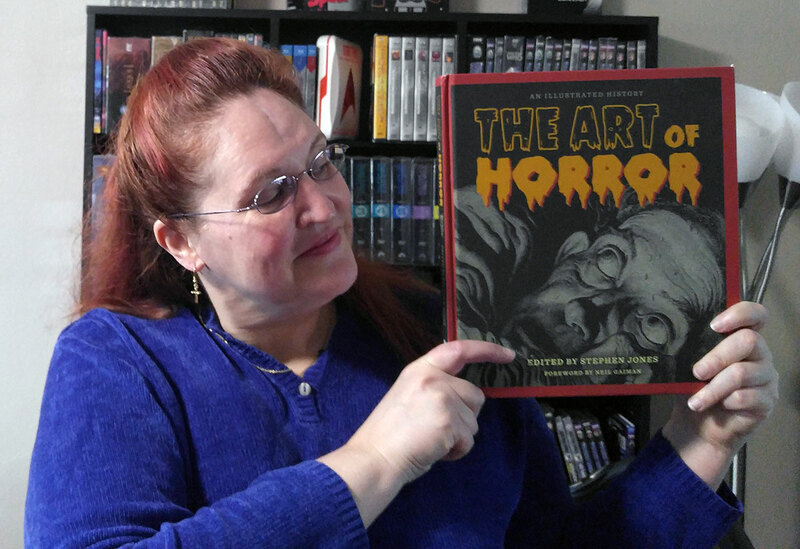 The Art of Horror is a lovely coffee table book filled with visuals from the horror genre dating back to the 19th century. Categories include vampires, zombies, man-made monsters, werewolves, ghosts, serial killers, witches, cosmic horrors, giant monsters and aliens. It is filled with art from a long list of illustrators and artists and has a forward by Neil Gaiman. This is a beautiful book filled with wonderful tidbits of historical information. My husband and I have spent hours carefully looking at the art and reading about the history of horror. The book’s dimensions allow enough space to do the art justice. The paper quality is high, so I know the book will last. Pretty much every kind of artistic style, old and new is represented. To show off the art, some of the pages are black, which means the writing on them is white. This is fine for captions, but when the entire page is black with whit print, I found it a bit hard on the eyes. Of course, reading is a secondary concern for this book. Most if not all of the artists have their websites list with their bio. So, if I wanted to buy some of their art, I could go buy it directly from the artist. However, I’d love to see an additional index of purveyors of horror art. Where can I find horror movie posters? Where can I find prints from several artists — so I can pay for shipping once rather than several times. This is a small thing, but would have been kind nice. If there are museums that showcase this kind of art, that would have been nice to know, as well. 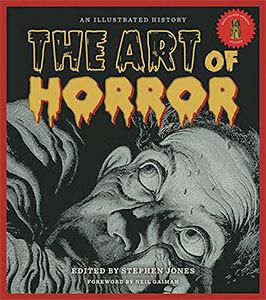 Whether you like your horror art Old School or New, you’ll find images in this book that you’ll enjoy. This would make a great addition to any horror fan’s collection.